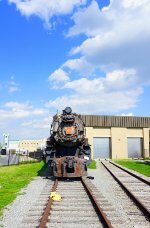 Notes: PRR Class K-4S; Restored; RR Museum of PA. Description: Imagine what it was like to see these two beauties in their prime. But for now you'll have to enjoy them at the Railroad Museum of PA, across the street from the Strasburg Railroad, in Strasburg, PA. Description: Scenes like this were common in the Jersey Meadowlands in the early part of the twentieth century when PRR K4s were exchanged for DD-1 electrics for the trip under the Hudson into Penn Station New York. 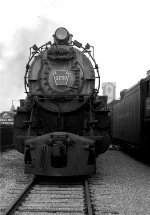 Overhead electrification in the 1930s brought an end to this time honored practice but places such as the Railroad Museum of Pennsylvania can help recreate these images today. K4 3750 and this DD-1 set might have exchanged many trains in years past. Description: A Pennsylvania Railroad K4 and an early electric locomotive sit side by side at the RRMofPA. Description: A Pennsy K4 sitting there in desparate need of a paint job, as all this other equipment needs. Description: Steam and electric stand on display outside the Railroad Museum of Pennsylvania in a scene that probably took place many times at Manhattan Transfer in the Jersey Meadowlands many decades ago before the mainline into New York was fully electrified. 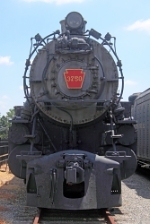 Description: These beauties were the stars of the Norfolk Southern Days at the RRMP. 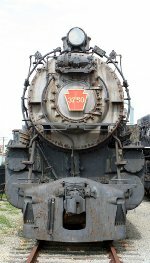 Description: PRR 3750 was one of two K4s designated the official state steam locomotive in 1987 by the Pennsylvania General Assembly. Description: This semi-permanently coupled pair of DD-1 class boxcab electric locomotives are displayed beside PRR 3750 K4. 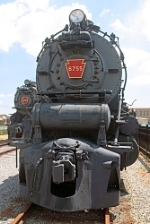 Description: Pennsylvania Railroad K4 3750. 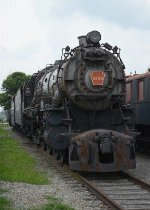 Description: Pennsylvania Railrad K4 3750. Description: A PRR K4 at left and an early electric engine at right. 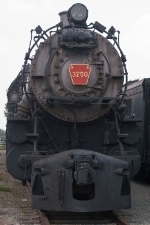 Description: PRR K4 sits outside in the museum building on a cold and rainy day.